Green encapsulation carpet cleaning products are hot-ticket items that combine two of the most popular trends in the carpet care industry--encapsulation technology and environmentally friendly materials. The former is sweeping the market, and has been especially embraced by professional carpet cleaners. Thanks to the encapsulation process carpets can stay cleaner and last longer. The secret is a revolutionary technology, which suspends dirt, oil, and detergent residue, so that standard vacuums can remove it. Encapsulation chemicals differ from traditional carpet cleaning products in that the latter is designed to emulsify dirt. 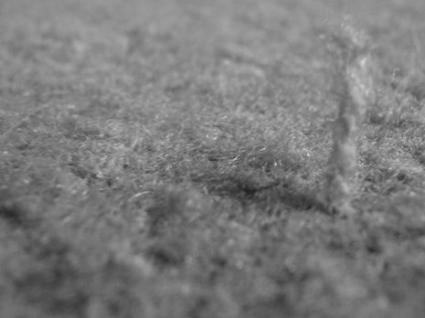 This process often leaves behind a sticky residue on carpets, which in turn, makes them susceptible to more dirt in less time. In contrast, encapsulation chemicals surround each particle of dirt and crystallize it, so it repels other soil. The dirt particles, then rise to the surface of the carpet and are easily removed with normal vacuuming. This process helps carpets stay cleaner because it does not leave behind a layer of sticky residue. Encapsulation carpet cleaners also incorporate acid dye resistors, surface tension modifiers, and polymers, which eliminate the need for rinsing. In recent years scientists have come up with a way to make the encapsulation process environmentally friendly. New "green" encapsulation carpet cleaning products are safe to use and are among the most effective cleaning products on the market. In addition, green encapsulation carpet cleaners don't contain aquatic or oral toxins, which means you get a product that not only cleans well, but also is much safer to use around humans, animals and the environment. Cleaning experts maintain that it will only be a matter of time before environmentally safe encapsulation carpet cleaners replace traditional cleaners. Industry leaders reason that the product's benefits are far too impressive to ignore. Powerful Polymers: These detergent polymers encapsulate and suspend ground-in dirt like no other product on the market. The polymers also enhance the efficiency of routine vacuuming, allowing for continued removal of any residual soils after the initial application. This reduces the frequency of wet cleaning and preserves the appearance of the carpet fiber. Stain Resistant: Green encapsulation carpet cleaners also contain stain resistors that provide superior protection from acid dyes commonly found in food and other items. Surface Tension Modifiers: These chemicals enhance the product's efficiency and are particularly effective in removing oils and greasy dirt found in many commercial carpets. Phosphate free: Green encapsulation carpet cleaners utilize products that will not harm the environment. They are free of hazardous air pollutants that can negatively affect indoor air quality, and the special formula does not contain any known carcinogens. In addition, the product contains a light, clean, fresh scent as opposed to unpleasant chemical odors, which are emitted from traditional carpet cleaners. Green encapsulation cleaners are not recommended for use on lightly soiled carpets. Rather, they are typically reserved for heavily soiled carpets that see high traffic and unusually greasy dirt. What's more, the product is typically reserved for professional carpet cleaning crews, though experienced cleaners with badly soiled carpets can also benefited from the product.